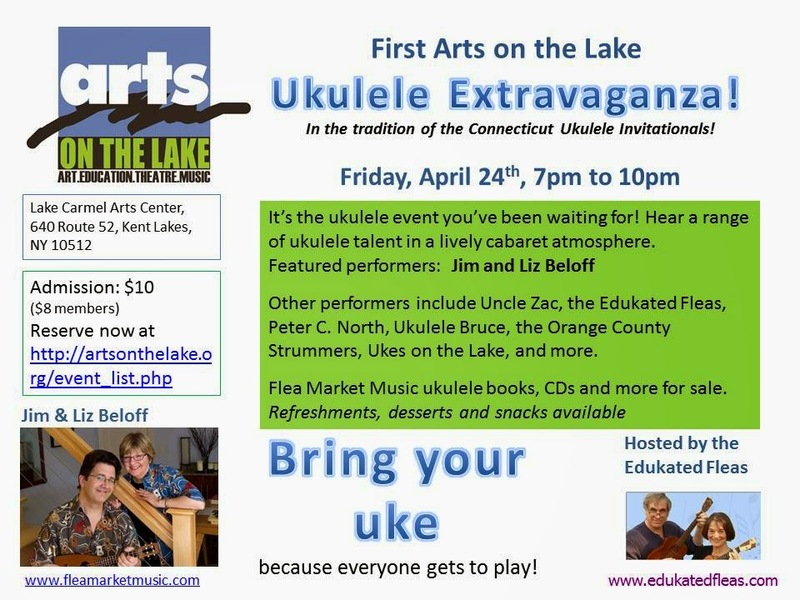 First Arts on the Lake Ukulele Extravaganza! It's the ukulele event you've been waiting for! Come join the fun and hear a range of ukulele talent in a lively cabaret atmosphere. Featuring special guests Jim and Liz Beloff! Flea Market Music ukulele books, CDs and more will be for sale, starting at 6:30 pm. Hosted by the Edukated Fleas, other performers include Uncle Zac and the Zactones, Peter C. North, Ukulele Bruce, the Orange County Strummers, Ukes on the Lake, and more! PLAY ALONGS too! 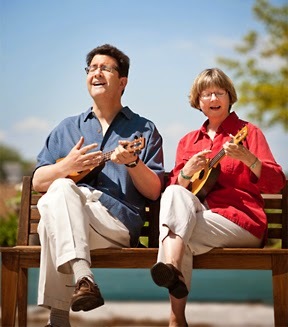 Yes, everybody gets to play, so bring your uke! Refreshments, desserts and snacks available. Tune in to WPKN 89.5 FM or streaming at wpkn.org on Wednesday, April 8th around 1:15 or 1:30 pm to hear the Edukated Fleas on Dr. Richard Epstein's show, "Sometimes Classical." We'll be talking about the ukulele, playing a couple of tunes, and (of course) promoting the upcoming Ukulele Extravaganza!